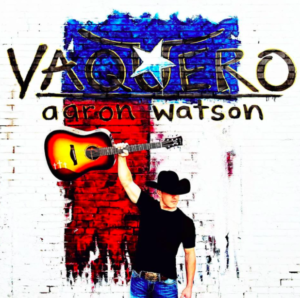 Back to back top tens for Aaron Watson? One of the big stories in country music last year was Aaron Watson taking a single into the top ten at country radio. That just doesn’t happen for independent artists. But he and his team made it happen. Now it’s time to see if he can maintain that momentum. The new single is locked and loaded. It sounds like a good one. In fact, I think it sounds like another hit. We’ll just have to see how high it can climb. The tricky thing for artists like Aaron Watson is you know they’re traditional artists. They love the way country music used to be and they’re looking for a way to fit into today’s format. I think Aaron has finally hit on a formula that works for him. True to the old and fitting in with the new. And I think what’s going on with this song is that a guy is out on the road. It’s vague enough I think that he’s just away from the girl he loves. But he’s on his way home now and he can’t get there fast enough. The horses in the song, I think, are referring maybe to the bus or a car or truck or whatever. He’s just counting the miles until he’s home so he and his girl can be together. It’s a cool song. I’m sure it’s already a huge hit in Texas. Very curious to see how high it can climb on the mainstream radio chart.